WHILE CONSTRUCTION WILL INEVITABLY SLOW DOWN SOONER OR LATER, CLIMBING ENERGY PRICES ARE GOING TO DRIVE DEMAND FOR SOLAR POWER SYSTEMS, AND THE SERVICES OF COMMERCIAL ELECTRICIANS. If you’ve glanced at the news any time in the last couple years, chances are you’ve seen a newspaper article or a segment on a local news channel talking about how California residents are getting hit with massive energy bills. Consumers are getting hit with pricey power bills for a couple of reasons. 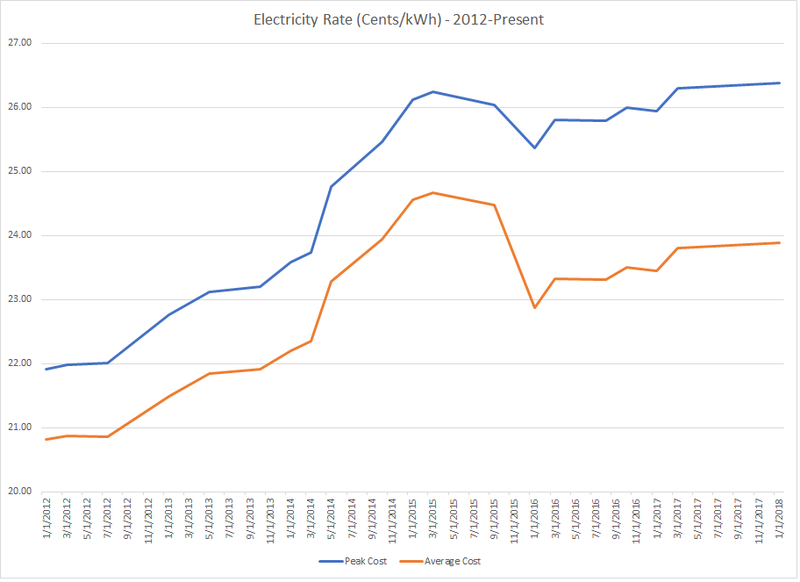 First, the cost of electricity is increasing everywhere, but particularly here in California. Secondly, it costs power companies like PG&E and SMUD more money to generate energy when there’s peak demand—during the day—than when there’s less. And now they’re passing those costs on by changing how we pay for electricity. 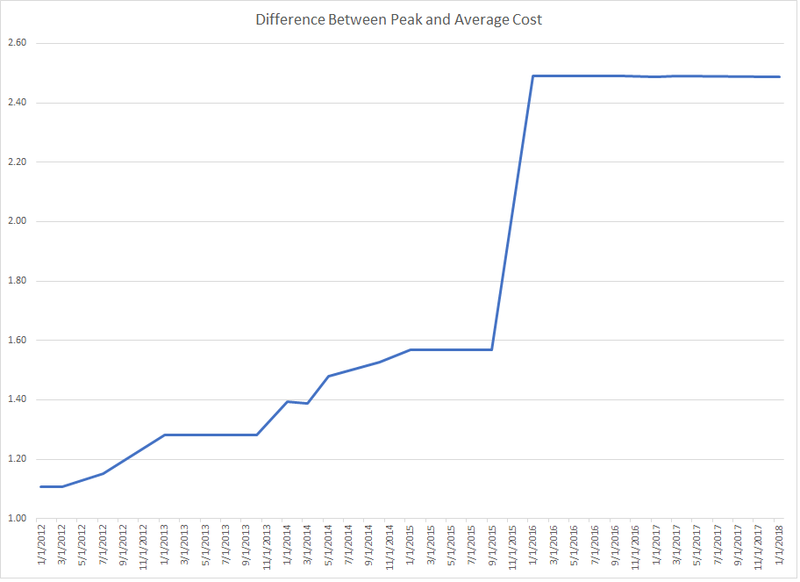 Instead of just paying a flat rate for each unit of electricity a customer uses, they’re implanting what is known as “time-of-use pricing,” which hikes the price of energy when demand is high (and the cost of generating electricity is high), and drops prices when demand is low. For most consumers, they’re stuck with their steadily increasing power bills. They can cut their bills by changing their usage habits, and also by buying more energy efficient appliances and devices. Well-off homeowners can go a step further by installing solar power systems to reduce their reliance on power delivered by their local energy utility. But businesses have better options, and more motivation to consider these alternatives. Businesses are going to be making heavy investments in solar power systems and battery systems, and they’ll need commercial electricians to install these systems. This is an overview of PG&E’s commercial A-1 rate schedule over the past six years. The red line is the average price of electricity, and the blue line is the cost of electricity during the most expensive time of the day. Obviously, both are going up. But notice that the gap between the two lines is increasing. This is because PG&E has been raising the peak price faster than they have been raising the prices overall. As you can see, the gap between the average price and the peak price increased steadily between 2012 and 2015, massively spiked in late 2015, and has held steady since then. But given the trend in increasing prices—and PG&E’s desire to pass on those increased costs during peak demand periods—that gap is like to start increasing again. But, okay. Enough graphs and numbers. What’s the point of all this? Obviously, most businesses can’t change when they operate. A grocery store stay closed during the day when power is pricey, and only operate at night. Many industrial manufacturing plants operate 24 hours a day, and have to run continuously in order to meet demand. But businesses care about profits. They have to. And the advent of commercial solar electricity systems, in combination with large-scale battery systems that can store energy from those solar panels, presents them with a unique solution: They can time-shift their electricity usage, just like a DVR allows you to time-shift a TV show by recording it when it airs so you can watch it whenever you feel like it. Businesses will be able to draw their electricity from their local power grid at night when it’s cheap and store the energy in batteries, and then use that power during the day, while supplementing it as necessary with power from their solar panels. But to do this, they’re going to need commercial electricians to install these systems. In the years ahead, the demand for commercial electricians is going to soar—not only to assist with the new construction going up all over California thanks to our economic boom, but also to feed the inevitable demand for solar power and battery system installation. And commercial electricians are automatically qualified to perform solar system installation, with no need for another license. Even when construction inevitably slows, the ever-increasing cost of electricity is going to push California’s 900,000+ businesses to find a solution that commercial electricians can most readily provide. Take advantage of this opportunity and secure your financial future by starting your electrical career with I-TAP. To learn more, contact us today by calling 916-332-3332, or sending us a message using our contact form.